We are excited to offer this enviable ocean view boutique premises within the thriving hub of the world famous Coolangatta beach precinct. Coolangatta is fast becoming the Southern Gold Coast's most transforming regions with remarkable new concepts and ever changing skyline developments to hit the shore. This first floor premises is perfectly positioned approx. 50m from the beach & set amongst premier casual dining and retail operators, which creates a stylish yet vibrant relaxed seaside ambience. - High Griffith Street exposure with Building Signage opportunities. - Light filled open plan, carpeted, ducted air conditioning and superb ocean views. - Own amenities, kitchenette, separate male and female bathrooms. - 5 exclusive use basement car parks. - Suit professional office / medical. Stylish light filled premises beautifully presented and would appeal to those wanting quality space to enhance any professional business use. Excellent Incentives being offered to secure the right tenant. 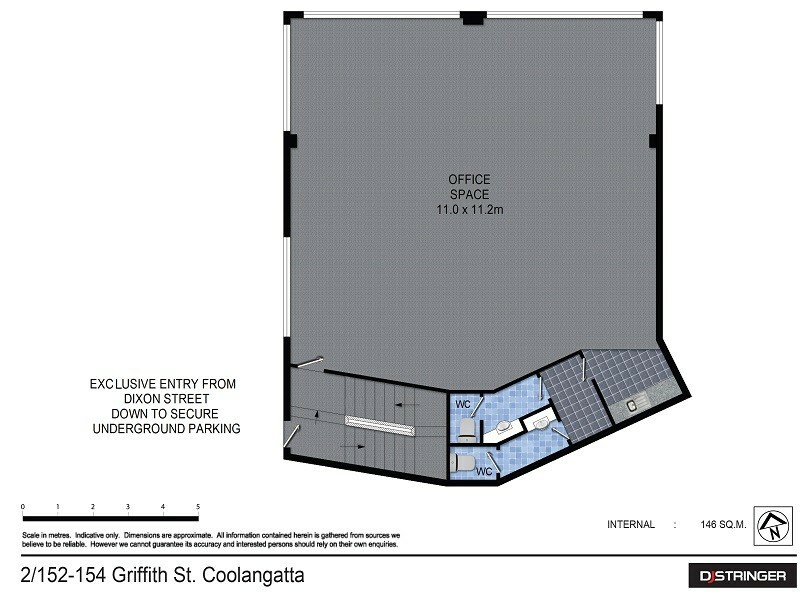 Please contact our exclusive marketing agent Peter Antony, DJ Stringer Property Services for further information on this magnificent leasing opportunity.